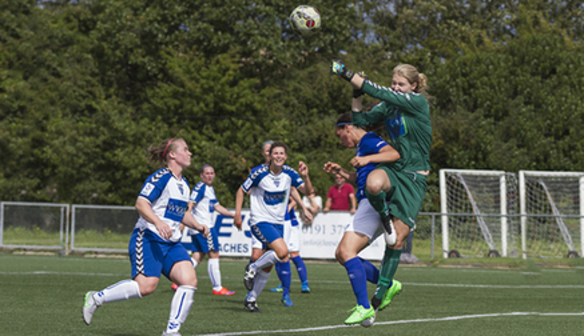 Doncaster Rovers Belles have announced the signing of Durham Women goalkeeper Anna Moorhouse. 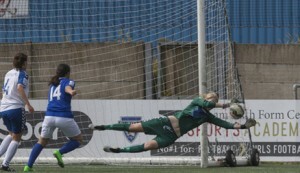 Glen Harris has swooped to snap up goalkeeper Anna Moorhouse from Durham Women as he strengthens his squad for the 2016 WSL 1 season. Moorhouse made 15 appearances for Durham before switching to the Keepmoat and is delighted to make the move. 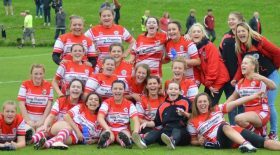 Moorhouse wants to use the opportunity to test herself at the top level and is eying up the chance to win things with the Belles. She added: “Going in to a new team I’ll need time to settle and just concentrate on training well. With training more, I want to improve both technically and physically, and then if I’m given the opportunity to play I’ll take it and play well. Glen Harris has shared his delight in snapping up the talented goalkeeper – admitting former a FA WSL 1 title-winning boss highly recommended the youngster to him. Harris says he spoke to ex-Liverpool and current Boston Breakers head coach Matt Beard about the much sought-after Moorhouse. “I spoke to him (Beard) last season and he suggested we take a look at Anna whilst she was with Durham,” said Belles manager Harris.